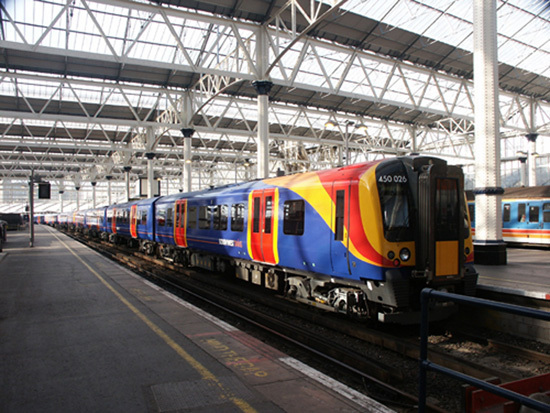 South West Trains has announced the completion of a £2.2 investment programme to deliver regenerative braking across its fleet to save energy and provide even greener trains. The programme has involved installing equipment on more than 200 electric trains which operate on the South West Trains network. These trains run services in the London suburban area, to Guildford, Alton, Portsmouth, Reading, Southampton and Weymouth. They are all now fitted with the new energy-saving technology. South West Trains Engineering Director Christian Roth said: “The roll-out of the regenerative braking system is a significant step forward in the environmental performance of our trains. It would not have been possible to coordinate and implement such an ambitious programme without the support and excellent working relationship with our Desiro Maintainer ‘Siemens’. Trains are already one of the most environmentally-friendly forms of transport and the completion of this project will provide our passengers with an even greener and smarter way to travel.